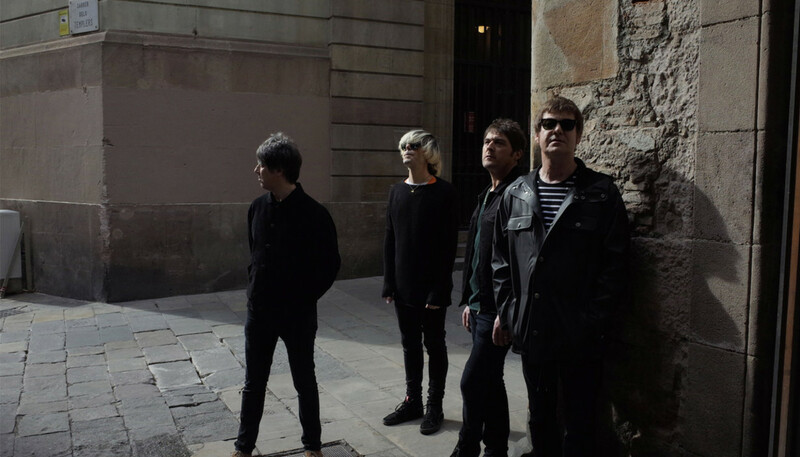 After almost 30 years together and 13 studio albums, The Charlatans remain one of Britain’s best loved indie bands. 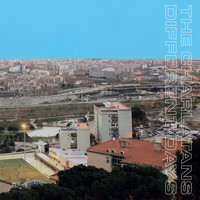 We sat down with band members Martin Blunt, Mark Collins and Tony Rogers to discuss latest LP Different Days, collaborating with Johnny Marr and Paul Weller, and why unity is more important now than ever before. Different Days is packed full of huge names. How did those collaborations come about? Martin Blunt: We’ve known these people for quite a while you know – Johnny Marr and Paul Weller – and Tim [Burgess, singer] has known Sharon Horgan for quite a while, as well as Ian Rankin from other projects Tim’s done. So we just thought this was a way to bring in some other people’s ideas. MB: …Tim went down to Paul Weller’s studio in Surrey, Black Barn, and they loosely got the song together, and then Tim brought it back up to a Big Mushroom Studios in Cheshire and we added to it. Does it feel like you’ve almost returned to how you used to make music back in the day, playing live? MB: Yeah. We were just talking to Steve Levine – who’s got studio up now in Liverpool, and he recorded Culture Club and The Clash – and he said with all this technology there’s becoming a lack of performance on records. And with this one we actually did get all in the room at the same time and express ourselves and perform. There was a lot of performance on the last record, Modern Nature, but there is even more on this one. We’ve been there in real time, which was quite refreshing. We have to keep a level of normality, as well as a certain level of defiance. The spoken word interludes fit into the album structure really nicely. Can you tell us more about the flow of the album? MC: One of the first songs that stuck for the record was “Hey Sunrise”. It always sounded like track one. And when we had “Different Days” and “Plastic Machinery” we wanted to join them, even though they’re different tempos; that’s when Ian Rankin came in to help join those two up. And then there was another piece of instrumental music that happened accidentally out of track called “Let’s Go Together” where Martin should have stopped playing the bass but didn’t, and it started morphing into this completely different track that we call “The Setting Sun” in a nod to the Paul Weller album. So yeah, it’s got a nice flow about it and we’d not tried that before. It was a new thing for us to try to work out how to get the idea out of our heads and on to the record. Tell us about the song with Paul Weller. MC: Tim had been to Paul’s studio and recorded some vocals, and Paul had played electric piano and some Mellotron, and then Tim played us the idea and we went, “Oh that’s great but, you know, let’s start playing on it and see what Paul thinks about our contribution to it.” He gave us double thumbs up, and said, “Yeah all right, you can have it.” So it started life as a Tim and Paul song but and it ended up as a Paul and Charlatans song. It must be interesting to get an insight into Paul’s creative process? MC: Well, he works in his studio and we worked in ours, and we communicated via engineers. But we’ve known Paul for ages, probably since the 90s when he first heard our record “Can’t Get Out Of Bed”. He phoned the studio that we were in, in Monmouth in Wales, out of the blue. Tim picks up the phone and he says “Hi, it’s Weller here, just wanted to say what a great song that is; best song I’ve heard all year,” and Tim’s going, (whispers) “Bloody hell, it’s Paul Weller”. Since then, we’ve dragged him up on stage in Brixton, and we’ve played “A Town Called Malice” as his backing band in Manchester. So once the album’s out you guys will be going on quite a lengthy tour. Do songs tend to evolve and change as you perform them live? Tony Rogers: I think they do naturally. The atmosphere of the crowd adds to it as well so every night can be different. It shouldn’t be exactly like the record, so I think there’s certain things that you might add live so they take on a different form every time, but you try to keep it as close [to the original] as possible. When you’re playing live songs should have a bit more excitement and a bit more energy. Do you plan your set lists as a band? Do you have any favorite venues to play? MC: Well, I do like playing theatres, from the Apollo in Manchester to Brixton Academy in South London. I’ve got a lot of fond memories of playing those. So, yeah, we are looking forward to playing again at the end of the year in my favorite kind of venues. And do you have a soft spot for northern audiences? MC: Oh no, we like the crowds down in Brixton as well. Everybody thinks audiences are cooler the more south you go, but that’s not what we’ve ever found from the people who identify with us. We read that you were donating the profits from your Manchester Lowry show to victims of the terrorist attack at the MEN arena. Has that tragedy make you take a closer look at your own security procedures? MC: Well, safety is paramount, but also we have to not succumb to their tactics; they want us to stay indoors. MB: It could’ve happened in any city in the United Kingdom, and it’s just sad that a young and teenage audience was targeted. And the fact it was done at the end of the concert… the barbarity of it. MC: We have to keep a level of normality, as well as a certain level of defiance. But yeah, we have we have toned down a few things that would have been happening; it’s not going to be an all day drinking party now but there will still be a celebration of unity.